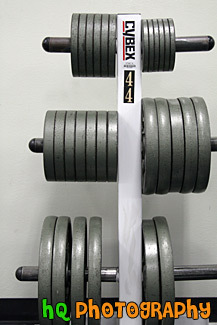 A close up vertical picture taken of a weight stack rack with weights seen. The weights on this rack range from about 45 lbs. to 5 lbs.